Last Friday, on 28 July, the box office welcomed two big releases — Aneez Bazmee's Mubarakan and Madhur Bhandarkar's Indu Sarkar. But neither of these films seem to make a significant mark at the box-office. While Mubarakan still seems to have potential to get a good push this week, the other two have shown a dismal performance in spite of garnering huge audience expectations. Mubarakan, starring Anil Kapoor, Arjun Kappor (in a double role), Ileana D'Cruz and Athiya Shetty is a complete family entertainer packed with a sloppy story-line but good humour, that probably has kept its boat sailing till now. It is expected to do better. This week is going to be the true testing-ground for the film. #Mubarakan Fri 5.16 cr, Sat 7.38 cr, Sun 10.37 cr. Total: ₹ 22.91 cr. India biz... Growth on Sun [vis-à-vis Fri]: 100.97%. While there is still hope from the Bazmee flick, Indu Sarkar has tanked miserably at the box office. It was mired in controversy right from the time its trailer got released and continued the fuss until the date of its release. According to Koimoi.com, Indu Sarkar has been able to mint a meager crore over its first weekend. 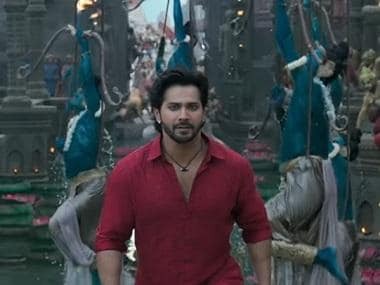 It opened to a low Rs 1 crore on Friday; rose a bit to Rs 1.10 crore on Saturday, and fell back to Rs 1.45 crore on Sunday.